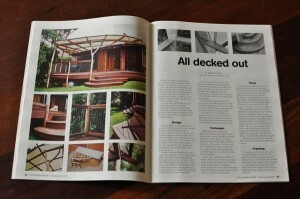 In 2011, the Owner Builder Magazine did a multiple page spread on Unique Solutions. Focusing on the curved stairs and natural building materials. 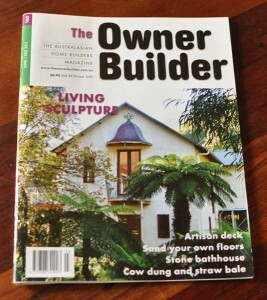 The Owner Builder Magazine is specifically targetted to people who are building their own homes. It has lots of information about natural building materials and environmentally friendly approaches. If you are looking to be involved in the building or renovation of your home, but want the support of a professional builder. Give Paul a call to talk about your dream home.